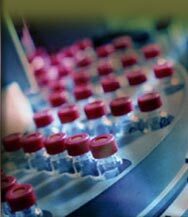 SB Life Science focuses on investment opportunities in the health care and biomedical sectors. Within these sectors, we are particularly interested in drug discovery/development, hospital/health care services and medical devices. While our investment interests span the spectrum of opportunities in these sectors, we have developed particular expertise in the areas of oncology, cardiology, central nervous system disorders, metabolic disorders, as well as infectious diseases. We are also interested in joint venture investment with local partners particularly in Asia. SB Life Science may invest in companies at any stage of development, including start up, early stage, development/expansion, mezzanine and joint ventures. Due to the investment style of the management team and the desire to be pro-active lead investors, a greater emphasis will be placed on earlier stage companies. We are inclined to lead and actively manage early-stage investments through close interaction with management and board participation. However, we also balance the portfolio with some later-stage investments, where our strategy is to co-invest with a strong group of investors and add value by helping with syndication and Asian business development. The Fund generally expects to take significant minority stakes in privately-held companies. The typical investment size for our portfolio companies range between $500,000 and $10 million depending on the stage of the company. We reserve a significant amount for follow-on investments and expect to participate in future rounds of portfolio companies that are well-managed and aggressively achieving milestones. 2010 Copyright © SbLIFESCIENCE.COM All rights reserved.